Eating healthy can sometimes be challenging. We tend to eat what is convenient. If you open your fridge, odds are you’re more likely to consume things you see first. This is why it’s important to keep healthy foods at eye level. 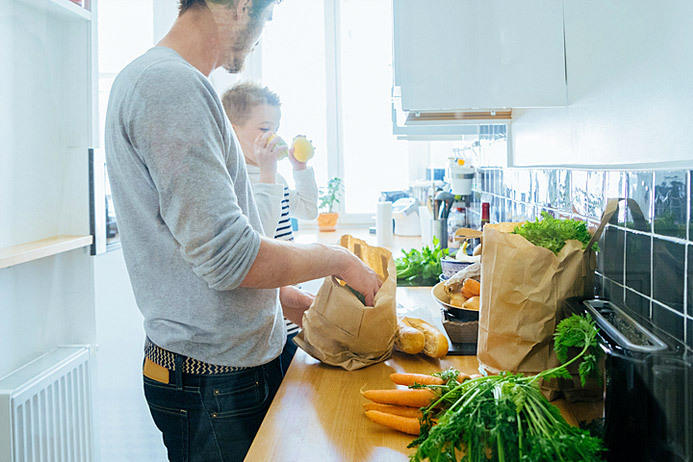 These tips on how to properly stock your fridge for healthy eating will make it easier and more convenient for you to incorporate better food into your regular routine. Keep Healthy Foods at Eye Level – As stated, you are more likely to eat the food you see first. By keeping the healthiest options at eye level in your fridge, you are going to eat those foods before searching for something else that may not be as healthy. 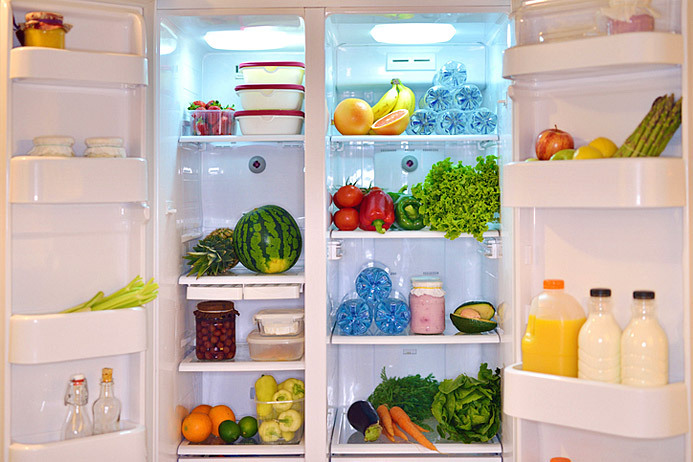 Don’t Clutter Your Fridge – Cluttering your fridge can cause you to lose track of all the options you have available. Too many available options can sometimes lead you to be overwhelmed and select something else entirely. Hide Indulgent Foods – It’s hard to expect you to give up every indulgence you may have. In situations where you have leftover desserts or snacks, wrap them in foil and put them in a drawer so they aren’t a prominent item that you see when opening your fridge. Chopped Veggies – Keep fresh, diced vegetables in a see-through container on the center shelf of your refrigerator. This way, they’re readily available when you want a snack. Cut Fruit – As with veggies, keeping fruit on hand will increase the likelihood of having a healthy snack instead of reaching for something not as good for you. Salad – Salad is great for a quick and easy meal. Keep the required ingredients chopped and washed and ready to go. Yogurt – When selecting yogurt to keep on hand, choose high-fat options. 3.5% milk fat is the best choice. Cheese and Meat – Meats and cheeses are a great snack to keep in the fridge. Pre-portioned cheese selections, Babybel or sliced turkey and chicken are excellent options. Eggs or High Protein Alternatives – Snacks full of protein are great options. Consider making hard-boiled eggs ahead of time and keeping them available in your fridge. They can be used easily on salads, in sandwiches or as a snack with fruit or crackers. Milk Alternatives – Alternatives to milk are better for you than animal milk. Coconut milk and almond milk are great selections. If you do choose to drink traditional milk, opt for full-fat milk instead of low-fat, as low-fat means high sugar. Hummus or Bean Dip – These dips are healthy, filling, and nutritious and make a great snack choice. Natural peanut or nut/seed butter – Instead of selecting store-bought peanut or nut butters, choosing natural variations will be better for you. Raw nuts and seeds are also good options. Filtered Water – Keep a water jug front and center in your fridge. Your aim is to have only water and milk alternatives as beverages in your fridge. Giving yourself the tools to succeed helps ensure you stay on the right path. If you want to learn how to help others do well on their healthy eating journeys, you may be suited for the role of a holistic nutritionist. The Edison Institute of Nutrition offers a variety of online courses to help you on this career journey. For more information about our programs and to learn how to obtain a Diploma in Holistic Nutrition, call the Edison Institute of Nutrition today at 1-888-524-7605 or contact us to speak with one of our educational advisors.